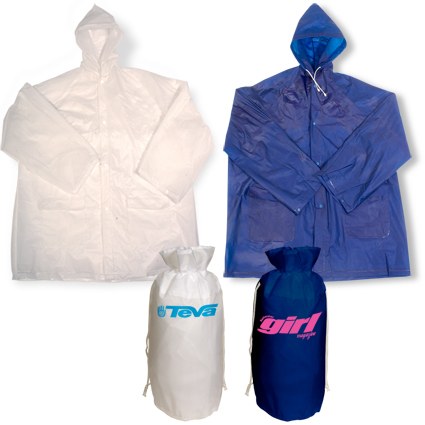 Lightweight PEVA waterproof poncho in a 190t nylon pouch, hood and side flap pockets, imprinting only available on pouch, not on slicker. One-size-fits-all jacket. Available in 2 colors. Prices may vary.